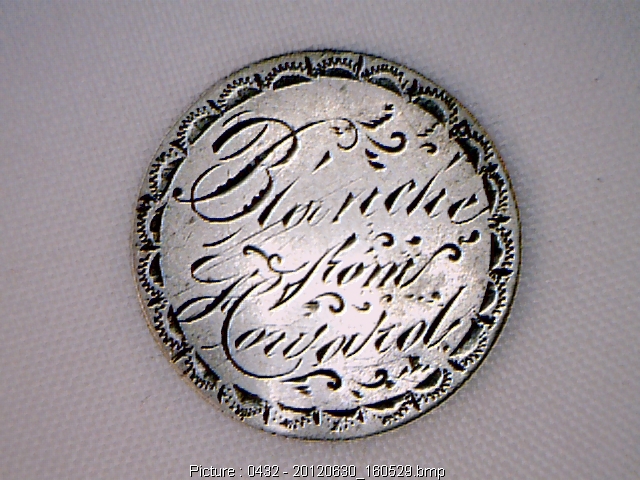 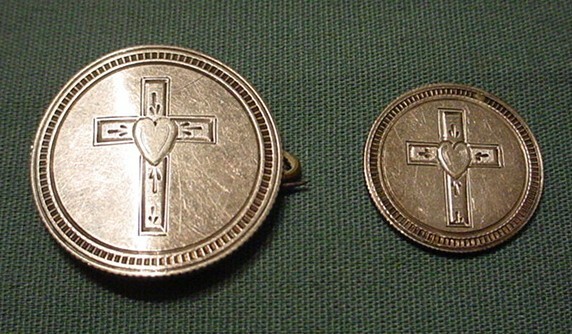 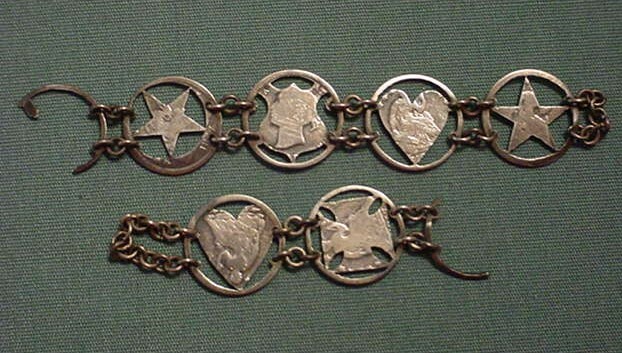 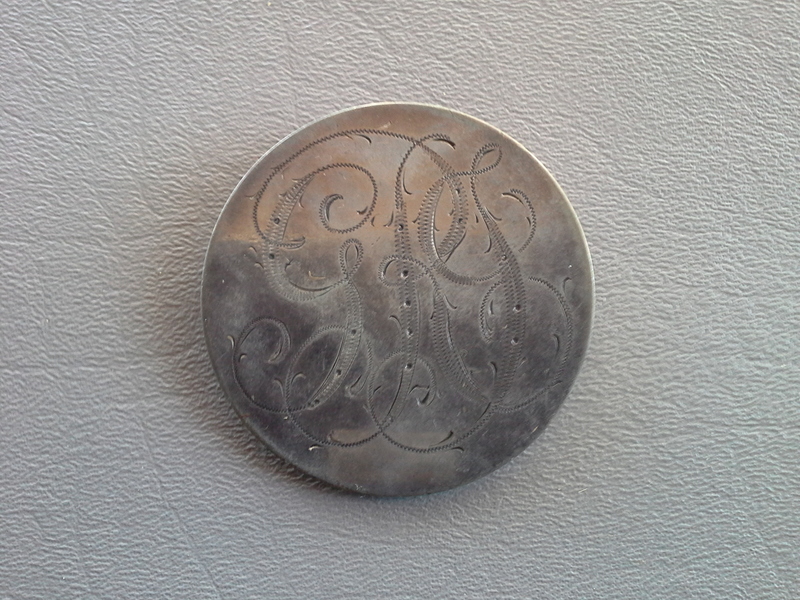 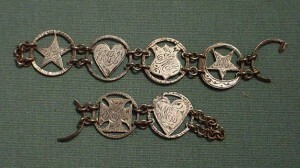 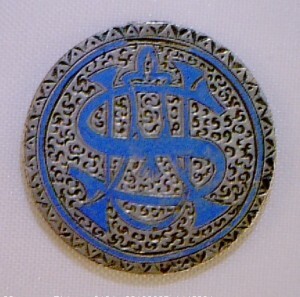 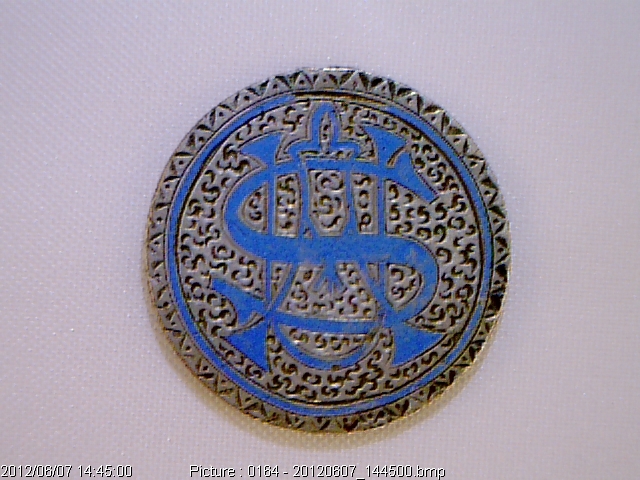 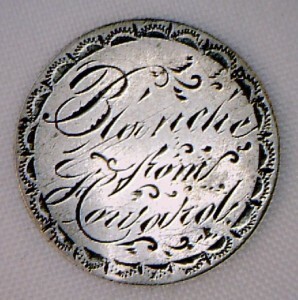 At left: “Cut-out” dimes with initials and engraved flourishes. 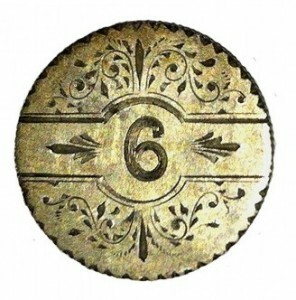 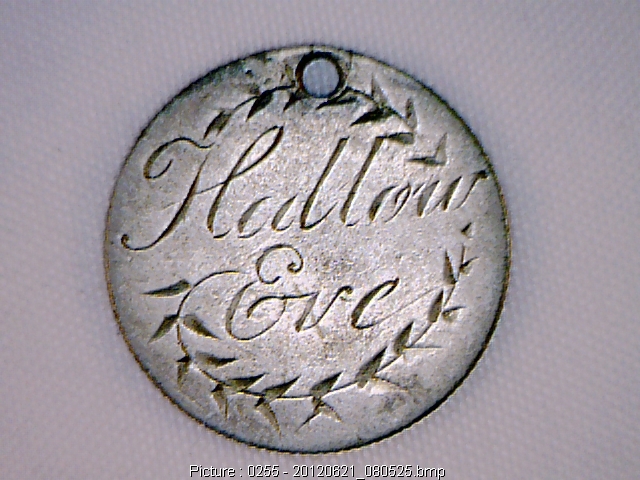 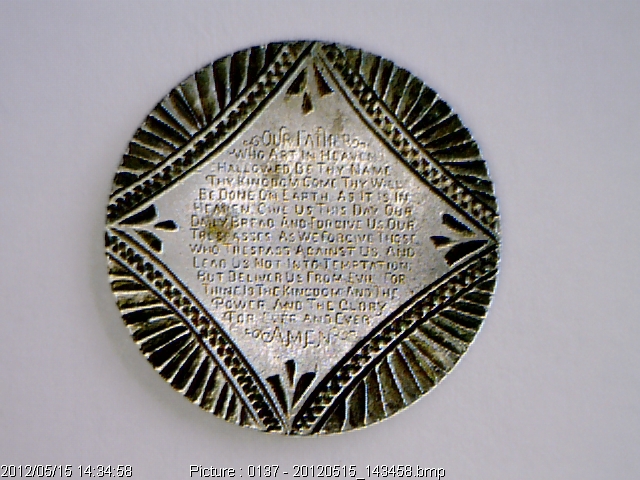 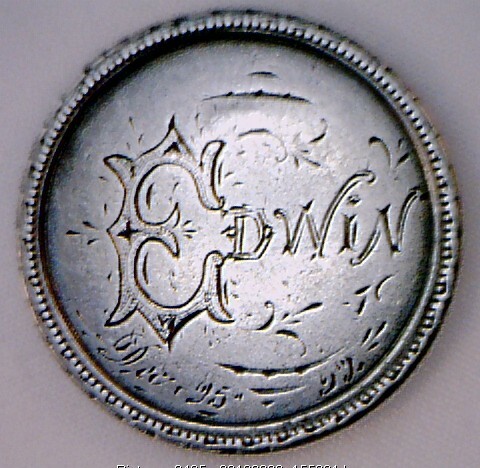 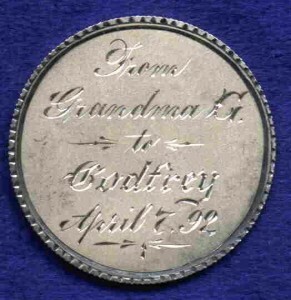 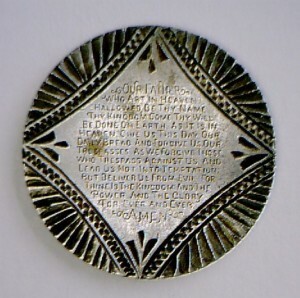 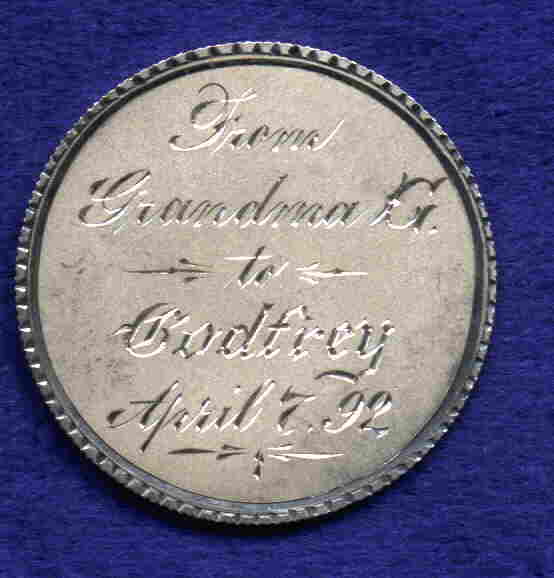 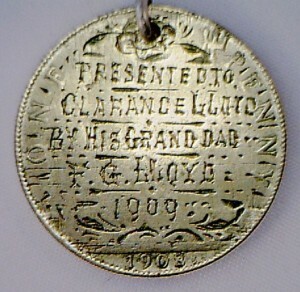 At right: reverse of love tokens shows mainly seated dimes, one Great Britain or Canada, and one indistinguishable as host coins. 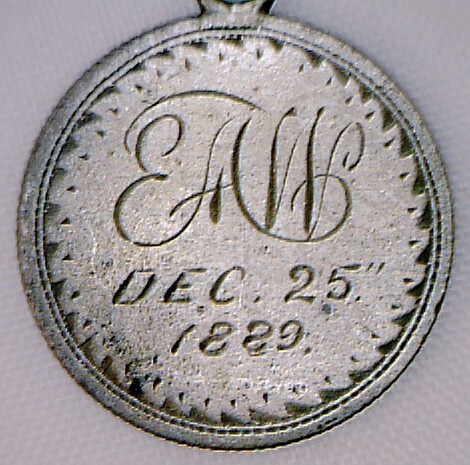 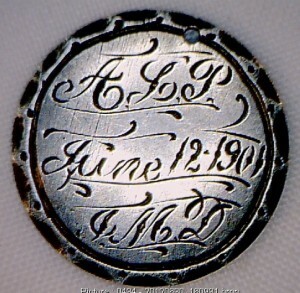 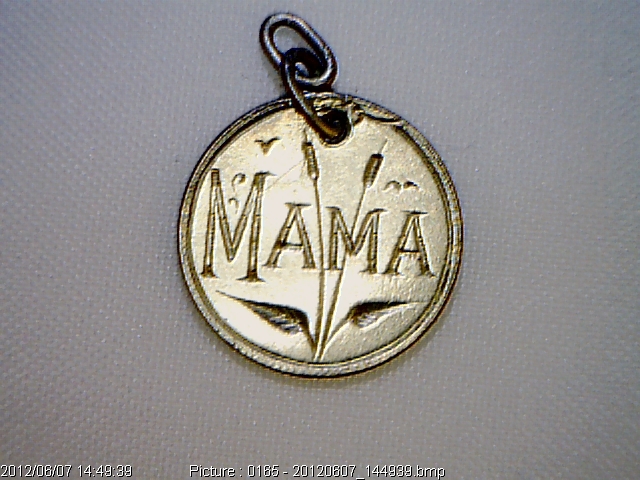 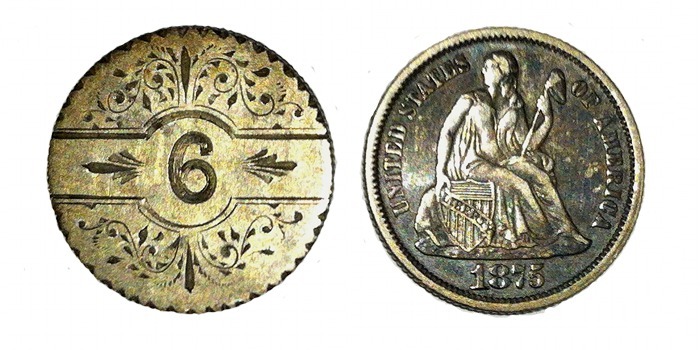 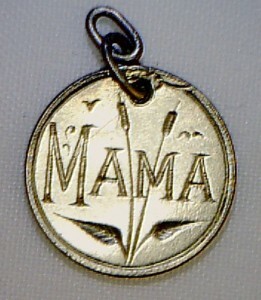 “Mama” seated half dime <1853> quarter with a matching dime. Full name and location. 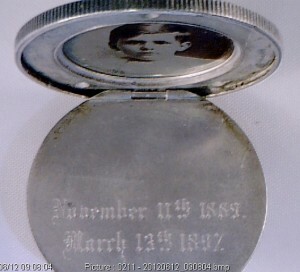 a Civil War soldier and lost his left arm in battle. 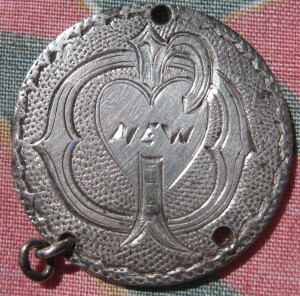 attempt to combine with love tokens. 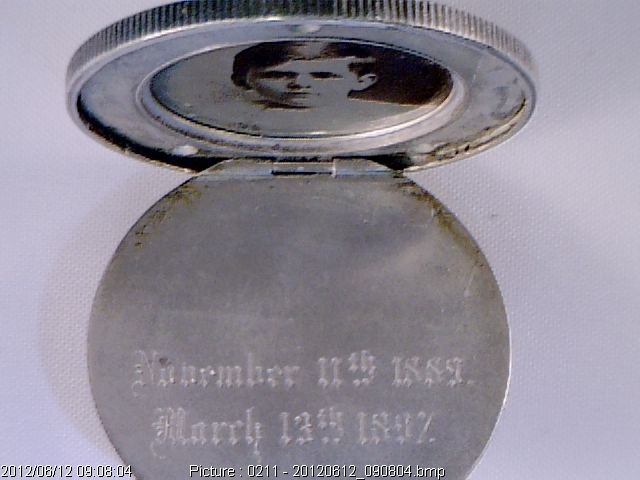 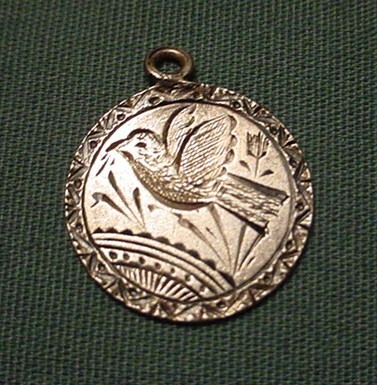 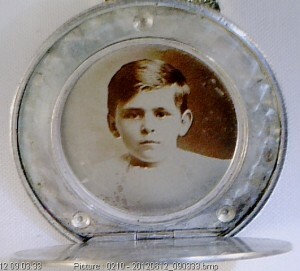 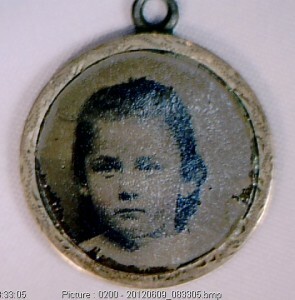 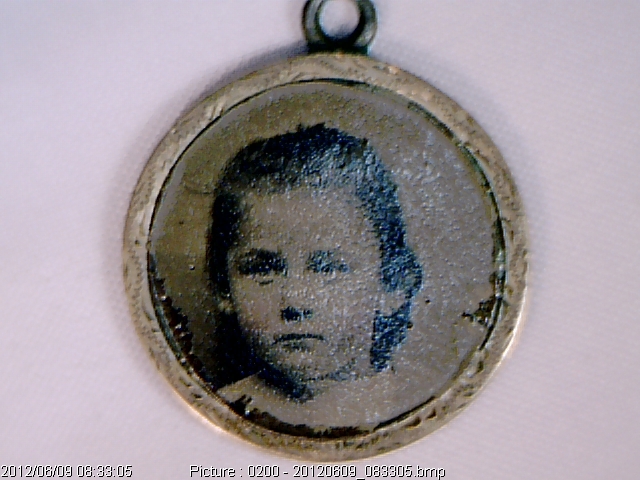 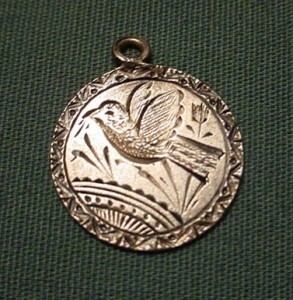 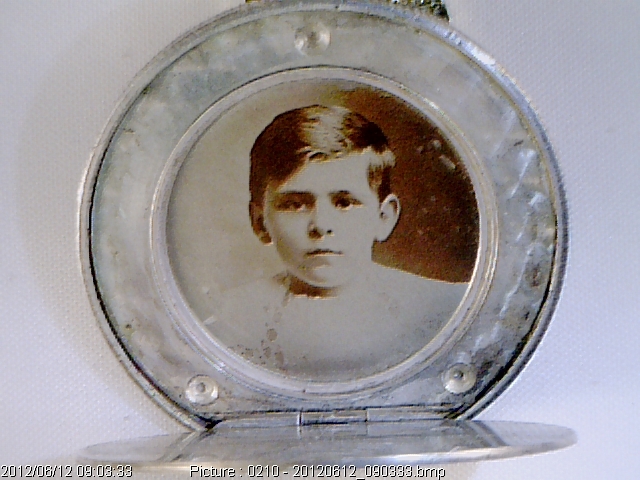 Ultimately the locket was favored. 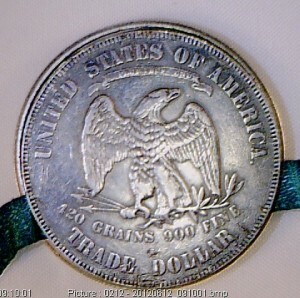 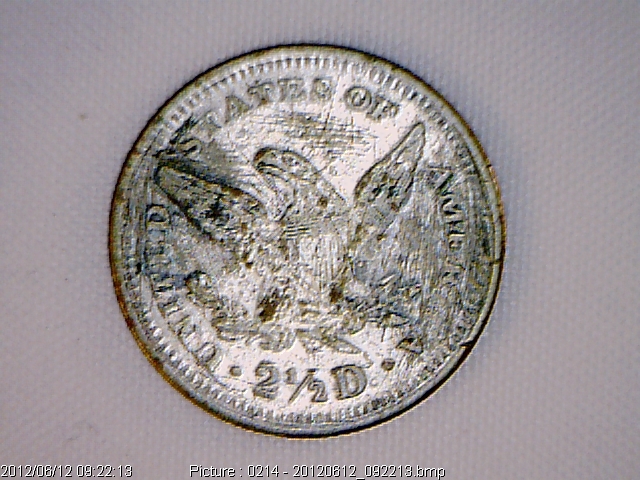 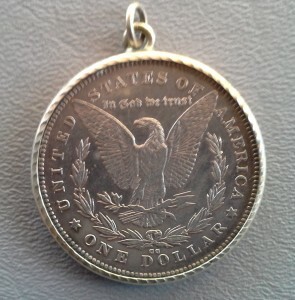 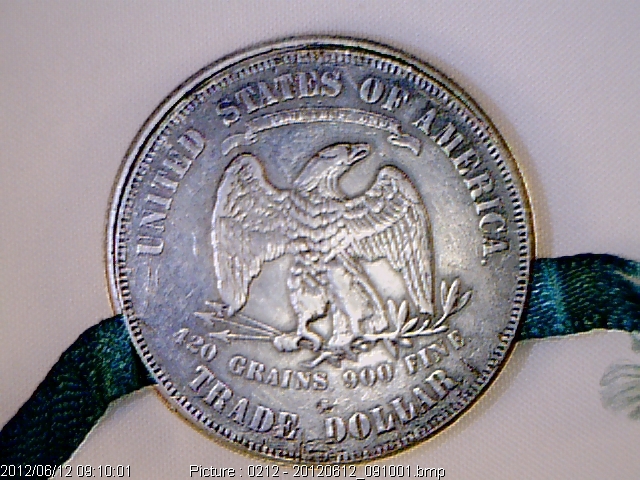 Barber half dollar host coin. 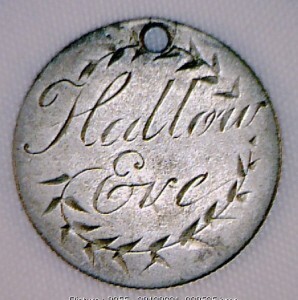 Does this mean the love is fake too? 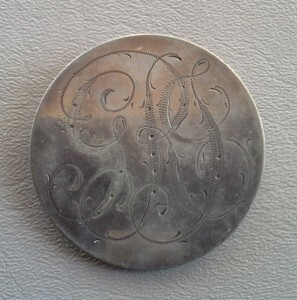 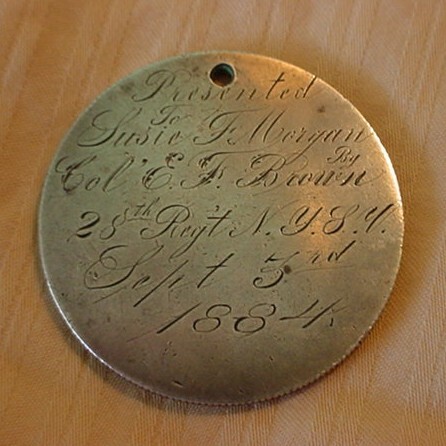 Appears to be silver plate over brass. 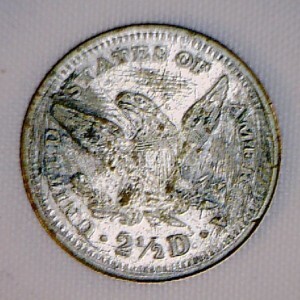 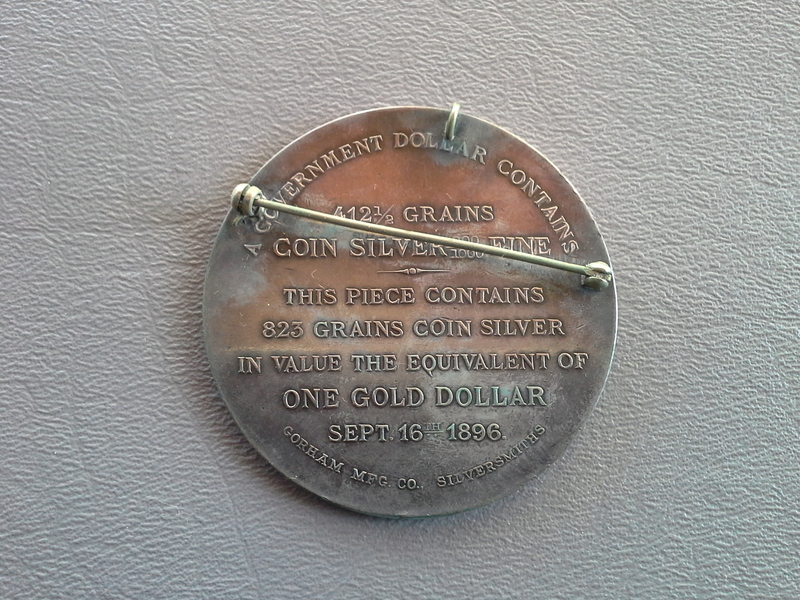 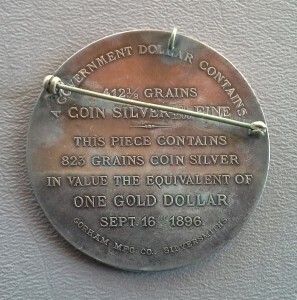 on a 1892 half dollar. 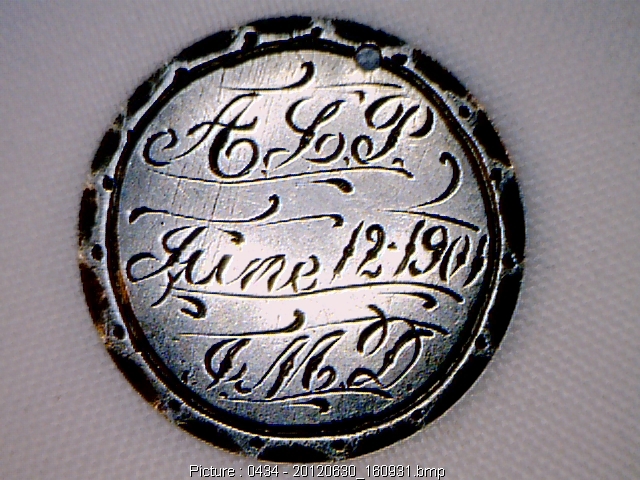 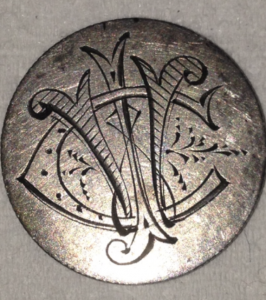 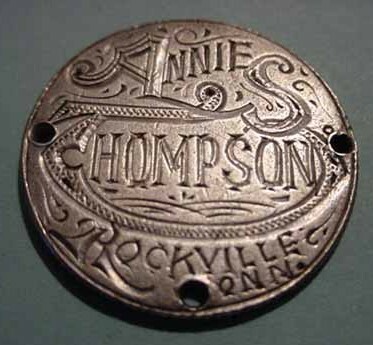 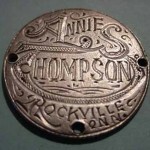 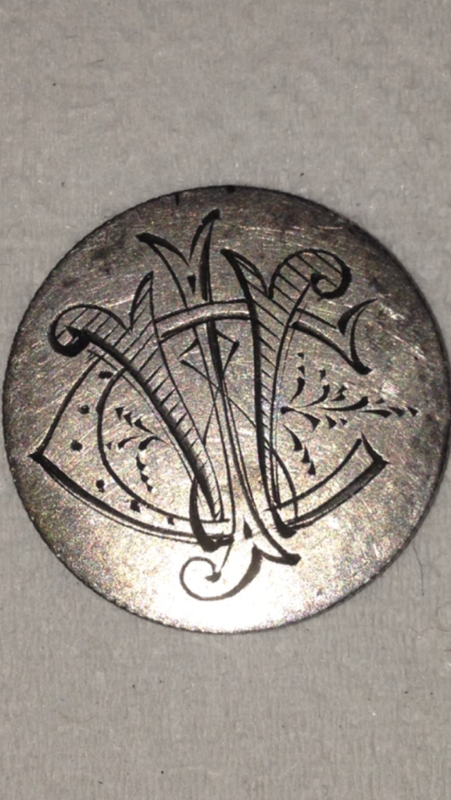 Fairly typical initials on a 1877 liberty seated dime. 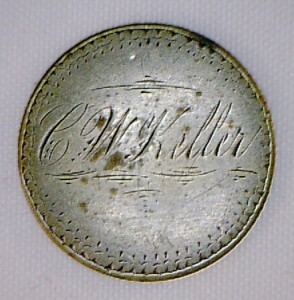 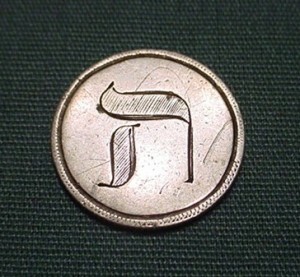 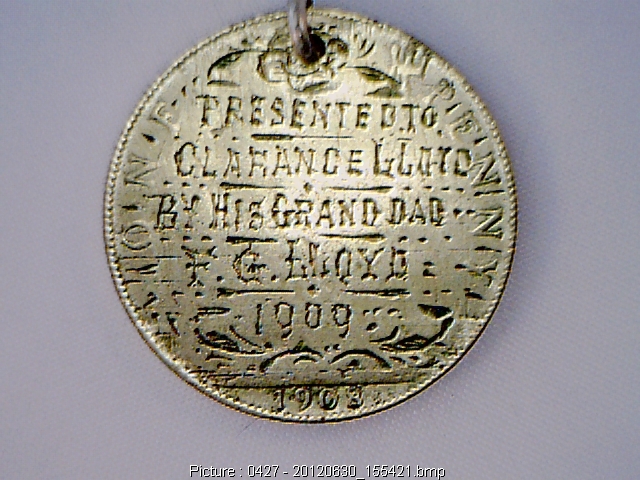 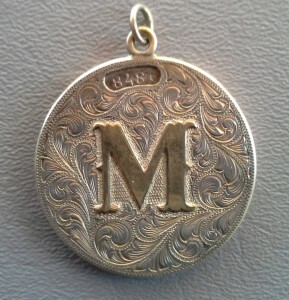 What is unusual is that the owner reports it was found in a roll of one cent coins. 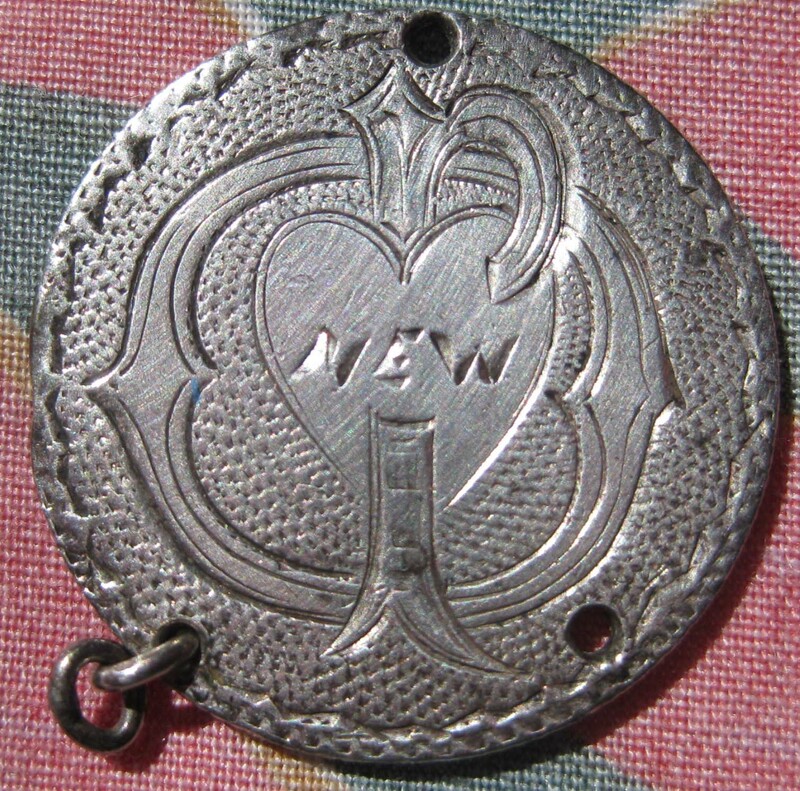 Belonged to submitter’s great grandmother, Carrie Newhart. 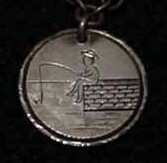 Very creative how Newhart was executed.